SANAA, Aug. 11 (YPA) – At Least three Palestinians were killed on Friday by the Israeli occupations forces, medical sources in the Gaza Strip reported on Saturday. 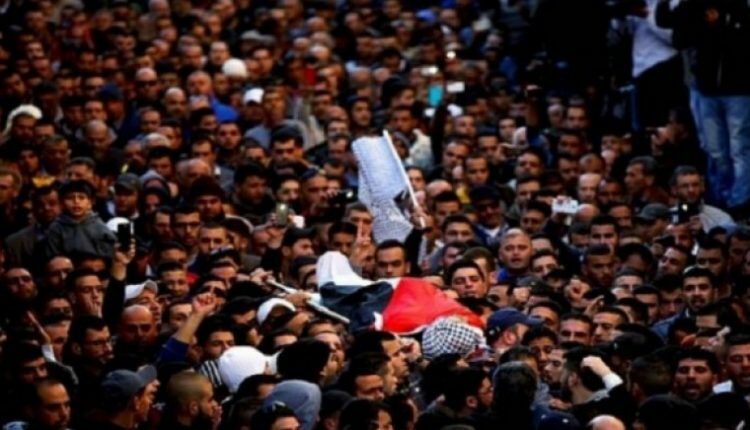 Ahmed Jamal Suleiman Abu Luli, aged 40, was shot dead by Israeli occupation forces during his participation in the peaceful return marches in the vicinity of the border fence east of Rafah city in the southern Gaza Strip on Friday. In Rafah, the death toll rose to three and over 307others wounded five of them are in a critical situation. Two people, including a paramedic, were killed and more than 242 wounded by Israeli gunfire during their participation in the return marches at the eastern border of the Gaza Strip.